These large trees are a great fit in any nature-y area. This pack includes eight different variations of the tree pictured below, each with different branch arrangement. Each tree stands approximately 20 meters in height. 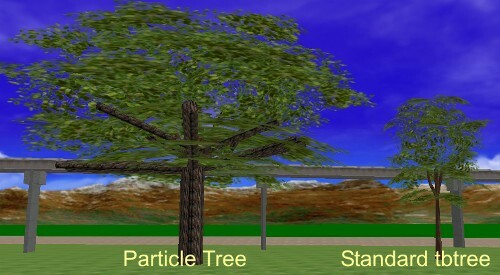 The above picture shows the size comparison to a standard tbtree object.